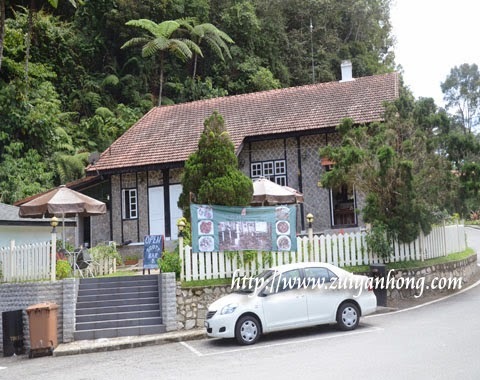 We headed to Scott Restaurant for lunch after enjoying aroma coffee at Smoke House. 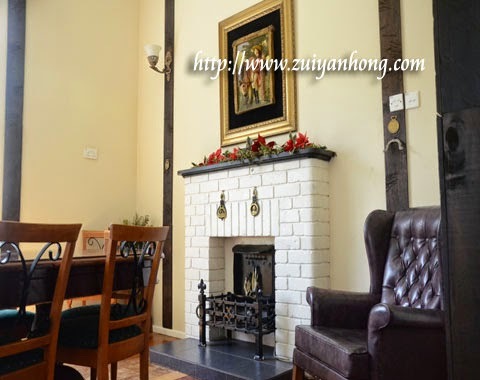 Located at the mini town of Fraser Hill, Scott Restaurant is also a building with England cottages architectural element. We shared a plate of seafood fried rice. 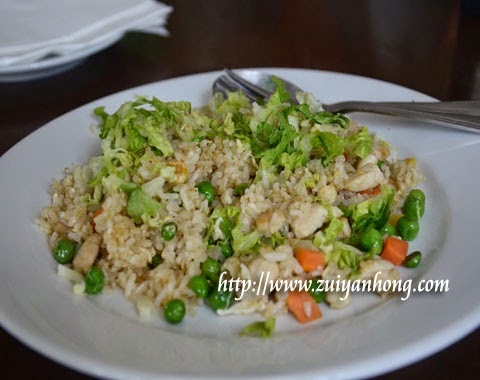 This seafood fried rice served by Scott Restaurant was truly delicious. 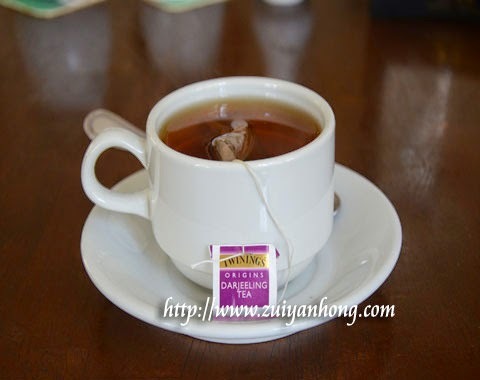 We had coffee at Smoke House that morning and savored English tea after taking lunch at Scott Restaurant. The cashier counter of Scott Restaurant is quiet distinctive. Not sure whether the counter is similar to the restaurants in England. 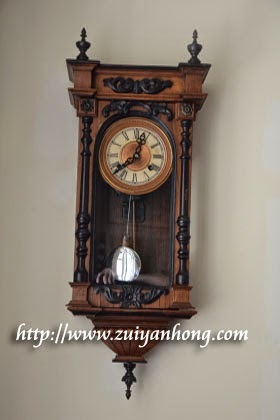 There was an antique clock on the wall of Scott Restaurant. This unique antique clock revealed the vintage scenario of Scott Restaurant. 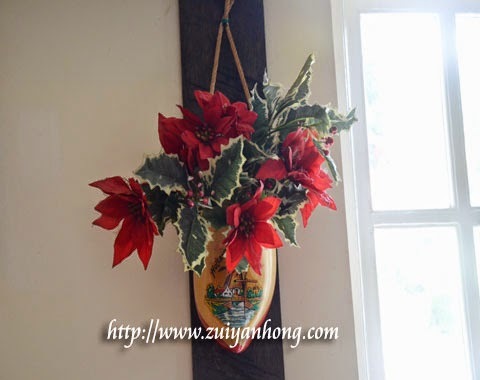 Besides the antique clock, this wooden shoe was displayed as a flower vase. The wooden shoe reminded me of the Simonehoeve wooden shoes in Netherlands. This is the mini garden outside Scott Restaurant. 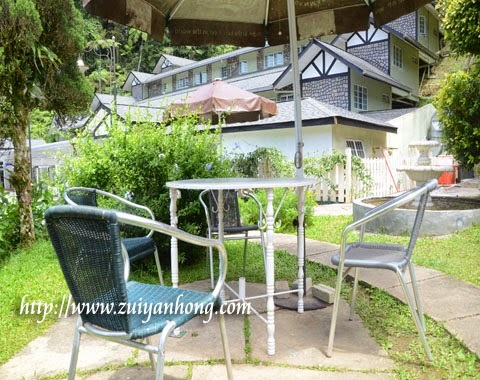 Visitors can have refreshment and observing the beautiful scenery of Fraser Hill in the garden.